What is the difference between an inline and drill down section? Describing the differences between the two view types that sections have. Sections have two options for display on the mobile devices: Drill Down and Inline. The difference between the two is how the section is displayed on the mobile device. The option to set the display format for sections is within the section options. Drill down display will make the sections show up on its own page. This option breaks up large forms into smaller pieces and makes it easier to navigate on the device. It can also help reduce the memory usage of the device. It adds some navigational hierarchy so that the app does not have to load all of the fields inline. Ultimately, this is a great option for bulky apps that need to load faster. Using the drill down display permits more memory allocation for multiple fields. 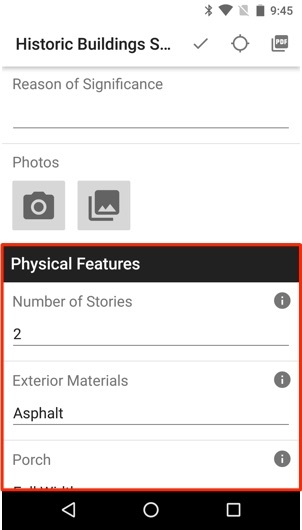 Sections that are set to drill down have the section label displayed at the top level of the app. When you tap on the section label for a drilldown section you are taken to a new page where the section fields are presented and data can be entered into those field. To exit the section, you can click on the Android back button or the back button in the upper right corner on the iOS app. 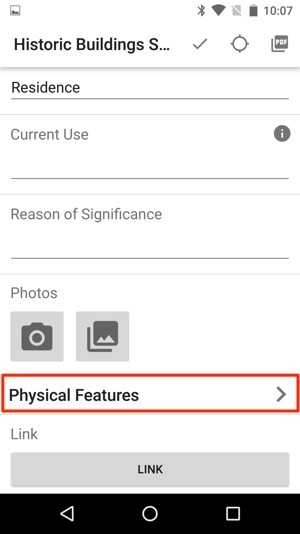 Inline sections are displayed inline with the reset of the the app. 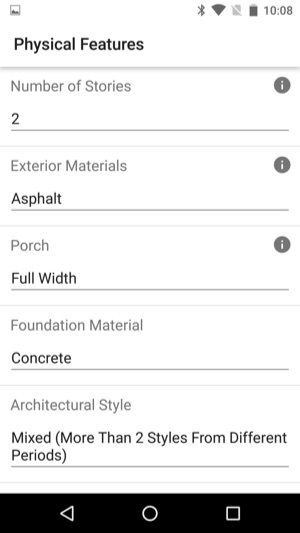 This is the default display format and will show the header label above the fields contained within the section inline with the rest of the field within the app.